The Melbourne Institute and The Australian are proud to present the 2018 Outlook Conference. The leading national forum on economic and social policy, the Outlook Conference brings together thought-leaders and policy influencers for rigorous discussion of issues facing Australia today. This is the 12th Outlook Conference and will focus on the balance between economic growth and social equity – and how this balance affects and is affected by political ambition. We look forward to welcoming you to the 2018 Outlook Conference. To learn about themes explored at previous Outlook Conferences, click here. The Melbourne Institute is Australia’s pre-eminent economic and social policy research institute that is a part of the Faculty of Business and Economics at The University of Melbourne. We undertake high-quality, independent and impartial economic research and build data and analytical capacity for undertaking this research through our creation of data sets such as HILDA, MABEL and Journeys Home, the linking and transformation of administrative data sets, and the undertaking of field experiments and randomised controlled trials. Our work with government, business and community groups has been powering effective change for over 55 years, and through our research we play an important role in creating fundamental policy and practice. We enhance understanding of issues affecting Australia and Australians today, and apply this knowledge to shape debate and drive evidence-based change. The Australian is Australia’s national news brand. In a world of sound bites and spin, we keep Australians fully and accurately informed about the issues that matter. For over half a century, we have been the nation’s most trusted source of news, insight, analysis and opinion. We tell the stories that need telling, hold those in power to account, provoke national debate and spare no effort in pursuing the truth according to the very highest standards of journalistic rigour. Ultimately, we help Australians know where they stand. The Reserve Bank of Australia has raised concerns about the risks associated with Australia's high levels of debt and very high asset prices. How can Australia manage monetary and fiscal policy to deliver growth? With a federal election coming up, we need to consider the state of the political system and what the future might look like after the 2018/2019 election. Is the political system delivering change? Where to next for a national energy policy that responds to domestic concerns and international commitments? Session 3b: Is there more to business than business? Should business be more forcefully engaged in policy debates and how should it respond to social change? In many of our conversations and in reporting we can be overly focused on matters pertaining to data access and privacy. Less discussed is the power of data to inform and innovate. How can we best use data and analytics to promote innovation in policy and practice, and what are the important questions we should be trying to answer with data? Australia has been experiencing strong economic growth for decades. Does growth equate to equal opportunity? Are our policies and practice fostering equity? How do we ensure we are delivering effective programs and promoting the wellbeing of all Australians across the income distribution? Join us in the magnificent surroundings of the National Gallery of Victoria for the Outlook Conference Dinner on Thursday 11 October from 6pm. This promises to be a sociable evening of great food, entertainment and networking – not to be missed. Cocktail Event: Has social media really destroyed privacy? In-depth discussions of topics relating to Australian social and economic policy led by subject-matter experts. Roundtables are free to attend but registration is essential and seating is limited. Learn more about the Roundtable topics here. Not joining a Breakfast Roundtable? A light breakfast and informal networking opportunity will also be available. Australia has been one of the few countries not to experience a recession in recent memory, but surveys show that Australians are pessimistic about their future. Should the government guarantee a basic living wage? Are business tax cuts enough to lift pay packets? Is the education system delivering the people with the skills Australia needs to drive growth? Is access to education equitably distributed across Australia’s income distribution? Australia's major cities are expanding rapidly as a result of population growth. Melbourne, Sydney and Brisbane, accounted for more than 70 per cent of Australia’s population growth in the 2016-17 financial year. Is this growth sustainable and how can policy makers do more to harness the benefits of this growth? Given the nature of politics and the challenges of implementing legislation, what tax reforms would be most beneficial? What tax reform measures are politically achievable? Australia is enjoying a record run of economic growth with widely shared prosperity. Can business plan on that continuing? Most people think of health and wellbeing as something of concern primarily to individuals. To what extent might it be a cause and consequence of economic growth? The China-Australia relationship is important from a strategic and economic perspective. Like any relationship, from time-to-time there are bumps in the road from an economic and/or political perspective. How should Australia handle its economic and strategic relationships with China? Are we becoming more unequal as a society? At last year’s Outlook Conference there was a difference in opinion on whether the data suggest there are issues of economic inequality in Australia. This session will delve further into this issue and address what we know about economic inequality and how governments might want to tackle issues to reduce such inequality. Plenary 8: Wrap-up Session: Growth and Equity: Raising Political Ambition – What Have We Learned? Reflections on lessons learned throughout the 2018 Outlook Conference and the challenges that governments and industry will face in the near future. The dinner address was given by The Hon. Bill Shorten MP, with introduction by Dr Paul Kelly, Editor-at-Large of The Australian. The Hon. 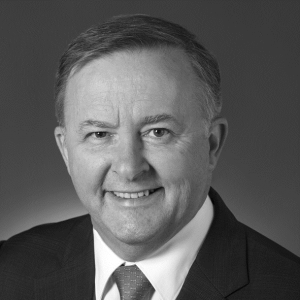 Anthony Albanese MP has represented the Inner West of Sydney as the Federal Member for Grayndler since 1996. He is currently the Shadow Minister for Infrastructure, Transport, Cities and Regional Development and the Shadow Minister for Tourism. 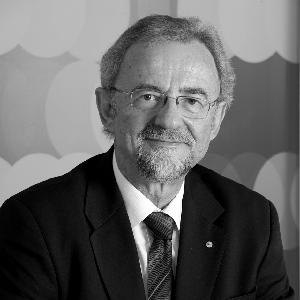 Gary Banks is an honorary Professorial Fellow at the Melbourne Institute and a member of its Advisory Board. He was Chairman of the Productivity Commission from its inception in 1998 to 2012, having previously been Executive Commissioner at the Industry Commission. He was subsequently appointed CEO of the Australia and New Zealand School of Government, stepping down in early 2017. 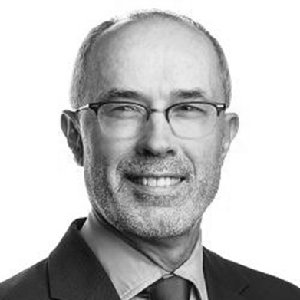 Gary chairs the Australian Statistics Advisory Council as well as the OECD’s Regulatory Policy Committee and is a Senior Fellow at the Centre for Independent Studies. He is also a Non-Executive Director with Macquarie Group. While at the Commission, Gary led inquiries on numerous reform issues and in 2006 chaired the Prime Minister’s Regulation Taskforce. Much of his earlier career was spent at the GATT/WTO in Geneva and at the Trade Policy Research Centre, London and he continues to consult internationally on economic reform matters. Gary is a Fellow of the Academy of Social Sciences and a National Fellow of the Institute for Public Administration, for whom he delivered the 2013 Garran Oration. He was awarded the Order of Australia in 2007 and received the Economic Society’s Distinguished Public Policy Fellow Award in 2014. 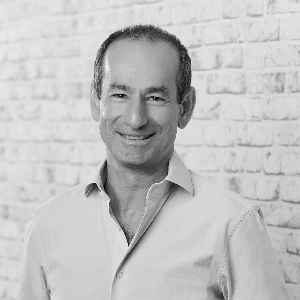 Andrew is the CEO of SEEK Limited and an Executive Director and co-founded the company in 1997. SEEK has evolved from being an Australian and NZ online employment market place to now operating in 19 countries including China, Brazil, Mexico, Africa, Bangladesh and across South East Asia. SEEK also operates synergistic online education businesses in Australia, Brazil, Mexico and Malaysia. The Hon. 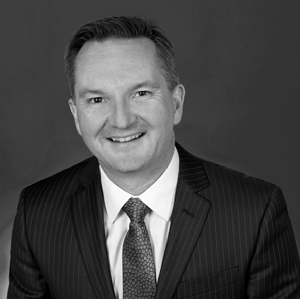 Chris Bowen MP entered Parliament in 2004 and has held a wide range of portfolios including serving as Treasurer, Minister for Human Services, Minister for Immigration, Minister for Financial Services, Assistant Treasurer, Minister for Competition Policy, Minister for Small Business and Minister for Tertiary Education. Chris has been responsible for a range of significant policy reform programs in these portfolios. Chris served on Fairfield Council for nine years is a former Mayor and President of the Western Sydney Councils (WSROC). He has a Bachelor of Economics degree, a Masters Degree in International Relations and is the final stages of completing a Diploma in Modern Languages (Bahasa Indonesia). He lives in Smithfield with his wife (Rebecca) , two children (Grace and Max) and Ollie the Labrador. Michael Brennan is Chair of the Productivity Commission. Previously Michael was Deputy Secretary, Fiscal Group, in the Federal Treasury with responsibility for budget policy, retirement incomes, Commonwealth-State relations, social policy and infrastructure financing. Before that he was Deputy Secretary, Economic in the Victorian Department of Treasury and Finance. 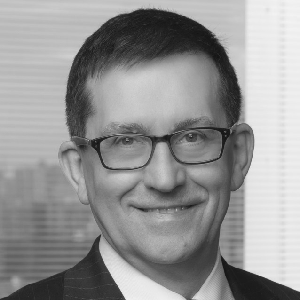 Michael has worked as an Associate Director in the economics and policy practice at PricewaterhouseCoopers, and as a senior adviser to Treasurers and Ministers for Finance at the State and Federal level. Michael holds a Bachelor of Economics (Hons) from the ANU. Professor Robert Breunig is the Director of the Tax and Transfer Policy Institute at the Crawford School of Public Policy. He directed the Crawford School from 2015 to 2016. Robert is one of Australia’s leading public policy economists. He has published in over 50 international academic journals in economics and public policy. Robert has made significant policy impact through a number of his research projects: the relationship between child care and women’s labour supply; the effect of immigration to Australia on the labour market prospects of Australians; the effect of switching to cash from food stamps in the U.S. food stamp program and the inter-generational transmission of disadvantage. Robert’s research is motivated by important social policy issues and debates. 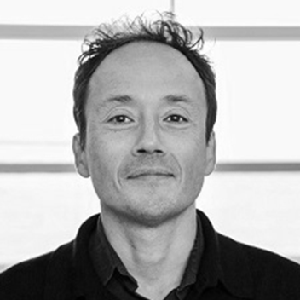 His work is characterized by careful empirical study and appropriate use of statistical technique. Robert’s research agenda has led to many partnerships with government organizations in Australia and overseas. He works regularly with the Australian Treasury, the Department of Employment, the Department of Industry, the Department of Communication and the Arts, the Productivity Commission, the Australian Bureau of Statistics as well as many other agencies. He has been a consultant to the private sector on marketing, mergers, bank competition and customer loyalty programs. Robert particularly enjoys interaction outside of typical academic circles and takes pleasure in helping those who don’t usually use economics or statistical analysis to better understand and make use of these tools in their work. He has an extensive track record of helping the Australian public service to build research capacity which he views as a particularly important activity. Lucy has a strong commitment to helping others. Her primary areas of focus are issues facing Women and Girls and Mental Health and Wellbeing particularly in the workplace. She takes an evidenced based approach to problem solving and social investment. 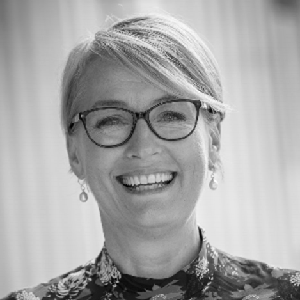 Lucy has more than 25 years’ experience commercial experience with companies including Macquarie Group and Ernst & Young working in accounting, finance and organisational psychology. Specifically, Lucy has worked in trusted advisory roles with some of Australia’s leading CEO’s, Managing Partners, Ministers and Chairs. In 2015, Lucy was named as one of the 100 Women of Influence in Australia. Ms Sally Capp was elected Lord Mayor of Melbourne in May 2018 and was the first woman to be directly elected as Lord Mayor. 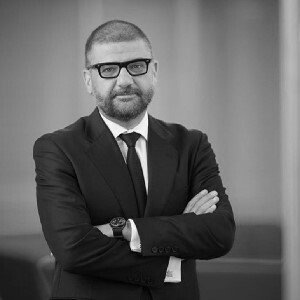 Efrem earned a PhD in Economics from the Bocconi University (2004). 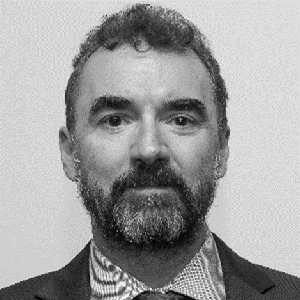 He has been and Associate Editor of the Journal of Applied Econometrics since 2013, Associate Editor of the Journal of Macroeconomics since 2016, and Policy Forum Editor of the Australian Economic Review since 2017. His research agenda centres on the role of nonlinearities for the transmission of structural shocks, the identification of common factors across countries, and the empirical validation of structural DSGE models. Marco Castillo is Professor of Economics at Texas A&M University in the U.S. and a Professorial Research Fellow at the Melbourne Institute in Australia. He studied economics at the Catholic University of Lima, Peru and received a PhD in Agricultural and Applied Economics from University of Wisconsin-Madison. His research interests lie primarily in Behavioral Economics, Labor Economics, Economics of Education and Experimental Economics. His research focuses on the use of experimental methods to identify optimal policy design and interventions in areas ranging from child development, human capital accumulation, discrimination and charitable fundraising. He has published in the American Economic Review, Economic Journal, Journal of Public Economics, Games and Economic Behavior, Economic Inquiry, European Economic Review and Theory and Decision. Marco Castillo became an IZA Research Fellow in July 2018. Karen Chester was appointed a Commissioner with the Productivity Commission in December 2013 and Deputy Chair in May 2016. 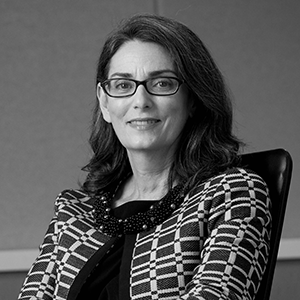 Prior to her Government appointments, Karen was a Partner at Mercer and Global Head of Infrastructure. Before joining Mercer, Karen was a Partner at Access Capital Advisers, having been the CEO of its corporate predecessor ─ Access Economics. Karen has also held directorships on several Australian infrastructure company boards and before moving to the private sector held senior economic policy roles in the Australian Treasury and the Department of Prime Minister and Cabinet. In 2015, the Government appointed Karen to Chair an expert panel to undertake a capability review of Australian Securities and Investment Commission (ASIC). Karen has a first class honours degree in economics from the University of Queensland, and was awarded an Honorary Doctorate in Economics by the University in 2017. Karen is currently presiding on the Commission’s Inquiry into the performance of Australia’s superannuation system. She also presided on the Commission’s recently completed Inquiry on Horizontal Fiscal Equalisation. 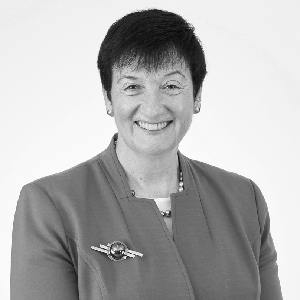 Ms Melinda Cilento is the CEO of the Committee for Economic Development of Australia (CEDA). She is also a non-executive director of Woodside Petroleum and Australian Unity and Co-Chair of Reconciliation Australia. Melinda is also a member of the Parliamentary Budget Office panel of expert advisors. She was previously a Commissioner with the Productivity Commission and Deputy CEO and Chief Economist with the Business Council of Australia. Melinda has also previously held senior roles with the Federal Department of Treasury, Invesco and the International Monetary Fund. Melinda’s executive and director experience covers the corporate, government and not-for-profit sectors and she has a strong track record of working collaboratively across sectors. Melinda’s professional qualifications include a Masters of Economics (Australian National University), and Bachelor of Economics (Hons) and Bachelor of Arts (Psychology) (Flinders University, SA). She is a graduate of the AICD Company Directors Course. Jonathan Coppel was appointed as a full-time Commissioner in July 2011. Jonathan is an economist with extensive international and domestic experience advising governments on macroeconomic, investment, energy, social, environmental and regulatory policy. He has recently completed a public inquiry on the effect of Australia’s system of HFE on productivity, economic growth and budget management for the States and for Australia as a whole. Prior to his appointment, Jonathan was Head of the OECD G20 Sherpa office. During his OECD career he held senior roles as Counsellor to the Chief Economist, Executive Manager of the NEPAD-OECD Africa Investment Initiative, Head of the EU and UK Desks and analyst at the International Energy Agency. In Australia he has held senior management positions at the Reserve Bank and started his career at the Commonwealth Treasury. Jonathan has taught at the World Trade Institute's Mile Masters Programme in International Law and Economics and the Paris, Sciences Po Institute. While overseas he established and was a director of Cafe Oz, the first Australian bar in Paris. 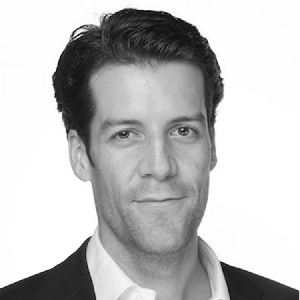 Jonathan has a Masters in Economics and Management from Columbia University, New York, a Bachelor in Economics (Honours) from the Australian National University and is a graduate of the Australian Institute of Company Directors. Peter Costello was Treasurer of the Commonwealth of Australia from March 1996 to December 2007. He was Deputy Leader of the Liberal Party of Australia from May 1994 to November 2007. He delivered twelve federal budgets including ten surpluses. During this period the Australian Sovereign Credit Rating was updated twice to its current AAA rating. In 2006, after eliminating Government debt in net terms, Mr Costello established the Australian Future Fund. From its original deposit, the Future Fund has grown to hold around $145 billion in assets. Mr Costello has also served on the IMF Committee, as a World Bank Governor and Chairman of the Global Group of 20 Finance Ministers & Central Bankers (G-20). 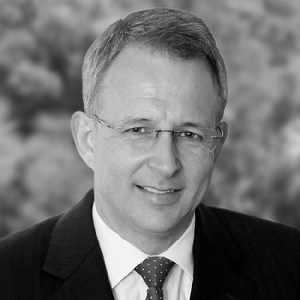 Mr John Durie joined The Australian in July 2007 as a business columnist on both The Australian and The Australian web page after a 20 year career with the Australian Financial Review. He was the paper's Chanticleer columnist for a total of 13 years and the founding writer of the paper's 'Street Talk' column. John was The Australian's New York correspondent from 1989 to 1992, serving also as a New York business correspondent for The Times of London. He was a business columnist for the New York Post from 1992 to 1996. 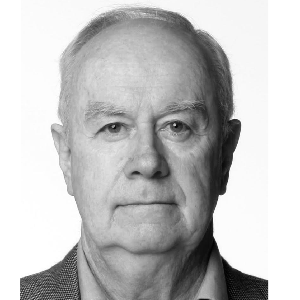 John was the Paris based European correspondent for the AFR in 1984-85 after starting his career in the paper's Canberra Press gallery bureau in 1980. John has degrees in Arts and Law from Macquarie University and is married with three children. Dr Luci Ellis is the Assistant Governor (Economic) at the Reserve Bank of Australia, a position she has held since December 2016. She is responsible for the Bank's Economic Analysis and Economic Research departments and is the chief economic advisor to the Governor and the Board. She also chairs the Bank committee responsible for its data strategy and is the executive sponsor of the Bank's Mathematica Users Community and its LGBTI+ allies employee resource group. 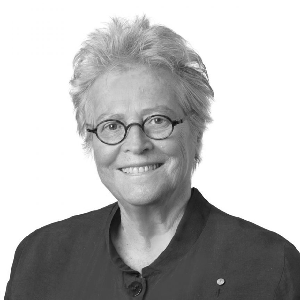 Luci has been a member of the Australian Statistics Advisory Council since November 2015. Prior to holding this role, Luci was Head of Financial Stability Department for eight years. She has also served as a Deputy Head of Economic Analysis Department and spent almost two years on secondment at the Bank for International Settlements. Luci holds a PhD from the University of New South Wales, a Masters in Economics degree from the Australian National University and a first-class Bachelor of Commerce (Honours) degree from the University of Melbourne. 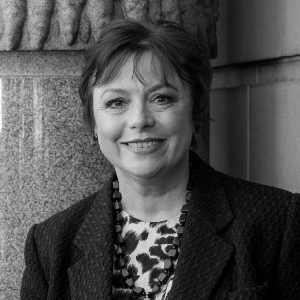 Kathryn Fagg is chairman of Boral and is on the board of other ASX-listed companies Djerriwarrh Investments and Incitec Pivot. She was a member of the board of the Reserve Bank of Australia from 2013 to earlier in 2018. Kathryn is Chairman of the Melbourne Recital Centre and of Breast Cancer Network Australia (BCNA) and is President of Chief Executive Women. She previously served as Chairman of Parks Victoria. 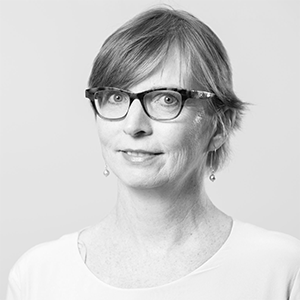 Kathryn is a board member of the Grattan Institute and of the Australian Centre for Innovation. She is a Fellow of the Academy of Technology and Engineering where she chairs the Industry and Innovation Forum. In addition to her engineering degree, Kathryn holds a Master of Commerce in Organisational Behaviour from the University of New South Wales. She has been awarded an honorary doctorate in Chemical Engineering from the University of Queensland and an honorary doctorate in Business from the University of New South Wales. Kathryn was a recipient of the University of Queensland’s Inaugural Vice-Chancellor’s Alumni Excellence Award in 2013, and in 2017, she was awarded the Ada Lovelace Medal for an Outstanding Woman Engineer by UNSW. 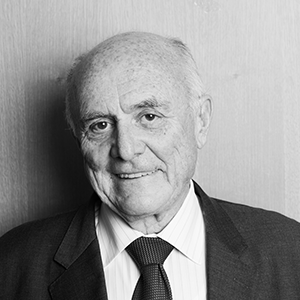 Professor Allan Fels AO is former Chairman of the Australian Competition and Consumer Commission and its predecessor bodies (1989-2003). He is currently a professorial fellow in the University of Melbourne, both in the Melbourne Law School and in the Faculty of Economics and Business, an adjunct professor at Monash University in the Faculty of Business and Economics, and visiting professor at the Division of Social Sciences in the University of Oxford. Allan is former Dean of the Australia and New Zealand School of Government (ANZSOG) (2003-2012). At ANZSOG he continues to conduct training programs in governance for senior Chinese government political leaders. He is Chair of the Australian Government Migrant Workers Taskforce. He is a member of the Global Public Advisory Board of Uber. He is former Chair of the Australian National Mental Health Commission (2012-2018). He chairs the Haven Foundation which provides accommodation, care and support for long term mentally ill people. He is Director of the Competition Research Centre at the Chinese Academy of Sciences and international adviser of the Chinese Academy of Social Sciences. The Hon. Paul Fletcher MP is the Minister for Urban Infrastructure and Cities in the Turnbull Government. He entered Parliament in December 2009 as the Member for Bradfield, was appointed Parliamentary Secretary to the Minister for Communications in September 2013, Minister for Major Projects, Territories and Local Government in September 2015, Minister for Urban Infrastructure in July 2016, and was appointed to his present role in December 2017. Before entering Parliament, Paul was Director, Corporate and Regulatory Affairs, at Optus, established a consulting firm serving the communications sector, and in 2009 his book about broadband, Wired Brown Land, was published by UNSW Press. Professor John Freebairn AO holds the Ritchie Chair in Economics at The University of Melbourne. He has degrees from the University of New England and the University of California, Davis. Prior to joining The University of Melbourne in 1996, his preceding career includes university appointments at the The Australian National University, La Trobe University and Monash University, and periods with the NSW Department of Agriculture and the Business Council of Australia. John is an applied microeconomist and economic policy analyst with current interests in taxation reform and environmental economics. Ticky Fullerton anchors Ticky, weeknights on Your Money. The program features politicians, top floor business executives and economists nightly. Ticky was previously host of Ticky on Sky News Business, joining the team in 2017. In its first year, the program broke the news on the top budget story, the bank levy and also picked up two prestigious News Corp awards, for Best Business Coverage and Best Scoop. With over twenty years in television at Sky News and the ABC, Ticky previously presented the ABC's national business show, The Business and Business PM on radio and was both a prize winning investigative reporter with Four Corners, a political reporter in Canberra and also the presenter for the national farming program, Landline. Previously, she was an associate director with investment bank Credit Suisse First Boston and spent ten years with the bank in both London and Sydney. She has a law degree from Oxford. Professor Ross Garnaut is a Professorial Research Fellow in Economics at the University of Melbourne. He is the author of numerous in scholarly publications on international economics, public finance and economic development, particularly in relation to East Asia and the Southwest Pacific. Recent books include The Great Crash of 2008 (with David Llewellyn-Smith, 2009) and Dog Days: Australia After the Boom (2013) and as an editor, jointly with Cai Fang and Ligang Song, The China Update: Forty Years of Economic Reform (2018). Professor Garnaut was principal economic adviser to Australian Prime Minister Bob Hawke 1983-1985, and Australian Ambassador to China 1985-1988, and the Senior Economic Policy Official in Papua New Guinea’s Development of Finance in the years straddling Independence (1975). He is the author of a number of influential reports to the Australian Government, including Australia and the Northeast Asian Ascendancy (1989), The Garnaut Climate Change Review (2008), and The Garnaut Review: Australia and the Global Response to Climate Change (2011). 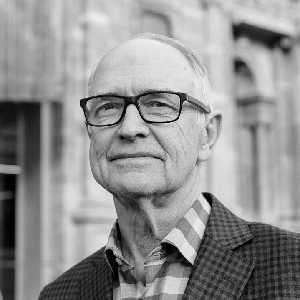 Professor Garnaut has chaired the boards of major Australian and International companies since 1988, including Lihir Gold Ltd (1995–2010); Bank of Western Australia Ltd (1988–1995); Primary Industry Bank of Australia Ltd (1989–1994); Papua New Guinea Sustainable Development Limited Pty Ltd (2002–2012) and its subsidiary OK Tedi Mining Ltd; Lonely Planet Pty Ltd; and Aluminium Smelters of Victoria Ltd and the Energy Transition Hub. In 2015 he became the Chairman of ZEN Energy Technologies Pty Ltd. In September 2017, ZEN Energy formed a strategic partnership with global company GFG Alliance and become President of SIMEC ZEN Energy. John Gillam is the Chairman of CSR Limited. 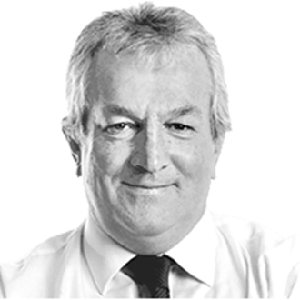 Prior to joining CSR as a non-executive director in December 2017, John was the CEO of Bunnings from 2004 to 2016. 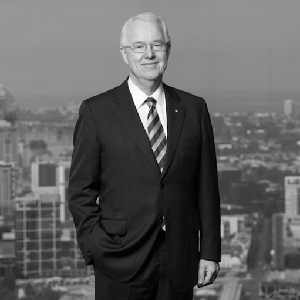 John joined Wesfarmers Limited in 1997 and held a number of senior leadership roles in the Wesfarmers Group, including as Chairman of Officeworks from 2008 to 2016. 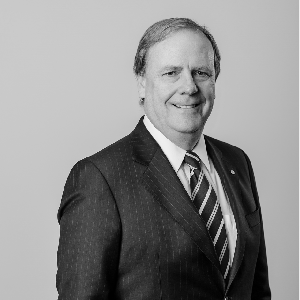 John is currently also the Chairman of BlueFit Pty Limited and Trinity Grammar School, Kew as well as a director of the Clontarf Foundation and Heartwell Foundation. Professor Gregory is currently Professor Emeritus at the Research School of Economics at the Australian National University. He has held positions at the University of Melbourne, London School of Economics, Australian National University, Industries Assistance Commission, Northwestern University, and visiting positions at The Board of Governors, Federal Reserve System, Washington, Harvard University, University of Chicago, Hitotsubashi University and University College, London. He was Head of the Economics Department, RSSS, ANU from 1986-2006. He has been closely involved in the analysis and development of Australian economic policy; a member of the Board of Management at the Australian Institute of Family Studies, author of a series of government Aged Care Reviews, member of the committee that recommended the introduction of student income contingent loans, member of the Board of the Reserve Bank of Australia and the Australian Sciences and Technology Council. Professor Gregory has been awarded the Order of Australia Medal and has an honorary doctorate from the University of Melbourne. He has long term research interests in the labour market in China, immigration, the impact of the mining boom on the Australian economy and evolving economic effects of the Australian welfare system. Fergus Hanson is the Head of the International Cyber Policy Centre at the Australian Strategic Policy Institute. 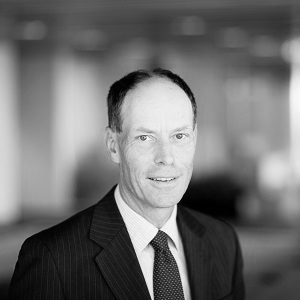 Professor Ian Harper is Dean and Director of the Melbourne Business School and Co-Dean of the Faculty of Business and Economics at the University of Melbourne. He is also a member of the Board of the Reserve Bank of Australia. 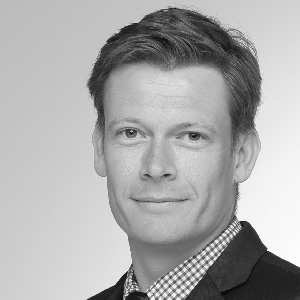 Jackson Hewett is an Associate Editor on The Australian’s commercial editorial team. He was formerly the head of Business Video at The Australian and prior to that the editor of Business Spectator. Jackson completed a Master's of Journalism from Columbia Graduate School of Journalism where he was a Knight-Bagehot Fellow in Business and Economics. He received an MBA from Columbia Business School in 2011. Jayne Hrdlicka commenced as Managing Director and CEO of The a2 Milk Company on 16 July 2018. 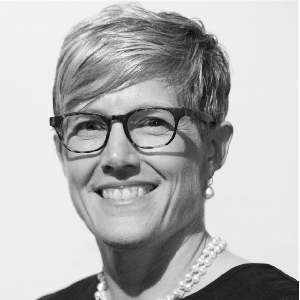 Jeanne Johns is Managing Director and Chief Executive Officer of Incitec Pivot Limited (IPL). Jeanne, a global executive and chemical engineer with over 25 years’ experience in the international refining, petrochemicals, oil and gas industries, joined the IPL Group in October 2017. 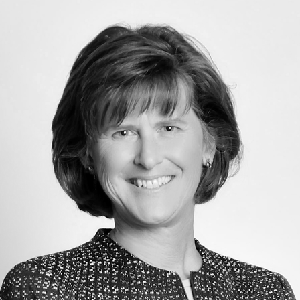 During Jeanne’s career with BP, she held various executive roles including as President, Asian Olefins and Derivatives (China), President, BP North America Natural Gas Liquids (USA), Head of Operating Management System Excellence for BP Group (UK) and Head of Safety and Operational Risk, BP Downstream (UK). The IPL Group, through its subsidiary, Dyno Nobel, is a global supplier of commercial explosives and industrial chemicals with a strong presence in North America. Incitec Pivot Fertilisers, the IPL Group’s fertiliser business, is Australia’s largest manufacturer and supplier of fertilisers. The IPL Group has operations in the USA, Canada, Australia, Mexico, Chile, Indonesia, PNG and Turkey and has joint-venture operations in South Africa and China. The company’s world-scale ammonia plant in Louisiana, USA, began production in 2016. Jeanne is a former non-executive director of Tate & Lyle plc and Parsons Corporation. Professor Shitij Kapur, MBBS, FRCPC, PhD, FMedSci is Dean of the Faculty of Medicine, Dentistry and Health Sciences and Assistant Vice-Chancellor (Health), The University of Melbourne. The Faculty comprises over 1,700 academic and 800 professional staff serving over 8,800 students and is consistently recognised internationally for its leading role in clinical and pre-clinical teaching and research. Professor Kapur’s background is as a clinician-scientist with expertise in psychiatry, neuroscience and brain imaging – having published over 300 peer-reviewed papers that have been cited over 30,000 times with an H-index of 90. Before moving to Australia, he was Executive Dean of the Institute of Psychiatry, Psychology and Neuroscience, Europe's largest and leading centre for mental health research, and prior to that, Vice-President (Research) for the Centre for Addiction and Mental Health Toronto, Canada's premier centre for research into mental health and addictions. 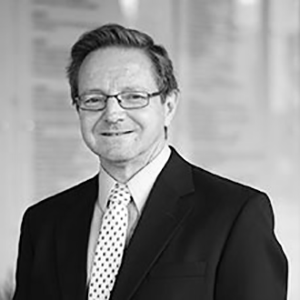 He currently serves as a director on the boards of the Royal Melbourne Hospital, Walter and Eliza Hall Institute of Medical Research, St Vincent’s Research Institute, and Aikenhead Centre for Medical Discoveries. Paul Kelly is Editor-at-Large on The Australian. He was previously Editor-in-Chief of the paper and he writes on Australian politics, public policy and international affairs. Paul has covered Australian governments from Gough Whitlam to Malcolm Turnbull and is a regular television commentator on Sky News. He is the author of nine books including The Hawke Ascendancy, The End of Certainty, November 1975, The March of the Patriots and in 2001 he presented the five part television documentary for the ABC ‘100 Years – The Australian Story’ and wrote a book under the same title. His latest books have been the Walkley Award-winning Triumph and Demise, about the Rudd-Gillard government and The Dismissal, with Troy Bramston, providing much new material on the Whitlam Government sacking. In 2003 Paul co-edited with Peter Dawkins, a former Director of the Melbourne Institute, the book Hard Heads, Soft Hearts on a new domestic reform agenda for Australia. Paul was Graham Perkin Journalist of the Year (1990). He holds a Doctor of Letters from Melbourne University and in 2010 was a Vice Chancellor’s Fellow at Melbourne University. In addition, Paul holds Honorary Doctorates from Sydney University, Griffith University and the University of NSW. He is a Fellow of the Academy of Social Sciences in Australia and in 2006 was a visiting Fellow at the Lowy Institute for International Policy. Paul is a long-standing participant in Australian-American Leadership Dialogue. He has been a visiting Fellow at Kings College London, a Fellow at the Kennedy School of Government at Harvard University and a visiting lecturer at the Weatherhead Center for International Affairs at Harvard. Damon Kitney has spent more than two decades in financial journalism, including 16 years at the Australian Financial Review in a variety of writing and editing roles in Sydney, Melbourne, Canberra and Perth, including five years as a deputy editor of the newspaper. Since 2010 he has been the Victorian business editor at The Australian, based in Melbourne, specialising in writing the untold personal stories of the nation's richest and most private people. Paul’s research interests and publications are in quantitative and behavioral finance and the regulation of financial markets. He has received numerous competitive research grants and was one of the founding directors of the ARC-funded Financial Integrity Research Network. With his colleague Clare Payne, Paul introduced one of the first online ethics in finance subjects at The University of Melbourne, and their text book “A Matter of Trust – the practice of ethics in finance” was published by Melbourne University Press in 2018.With his colleague Sean Pinder, Paul also designed and developed the first Coursera MOOC specialization, Essentials of Corporate Financial Analysis and Decision Making, in partnership with BNY Mellon. 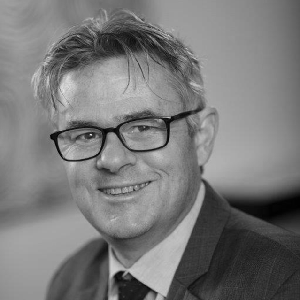 Paul has undertaken consultancy work for the European Options Exchange, the New York Board of Trade, the Central European University, a number of Dutch investment banks, the Dutch Centre for Actuarial Statistics, the Australian Office of Financial Markets, and the RACV. Mr Ralph Lattimore is the Executive Manager of the Canberra office of the Productivity Commission. His work has covered diverse areas of economic and social policy, among them 2 major inquiries into Australia’s gambling industries, paid parental leave, workplace relations, disability insurance, and immigration. Most recently, he led the 5 year productivity review, which focused on Australia’s health and education systems, government effectiveness, and cities. Ralph has a Bachelor of Arts degree and Masters degree in economics from the Australian National University, and a doctorate from Oxford University. 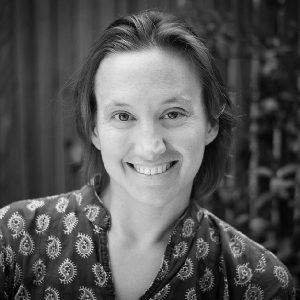 Claire Lehmann is the founding editor of Quillette, an international online magazine which specialises in long-form commentary on culture, politics, and science. Her own writing has been published locally and internationally in such places as Tablet, Commentary, The Sydney Morning Herald and Scientific American. Earlier this year she gave the Centre for Independent Studies' Helen Hughes Lecture for Emerging Thinkers. The Hon. Dr Andrew Leigh MP is the Shadow Assistant Treasurer and Federal Member for Fenner in the ACT. Prior to being elected in 2010, Andrew was a professor of economics at the Australian National University. He holds a PhD in public policy from Harvard, having graduated from the University of Sydney with first class honours in Law and Arts. 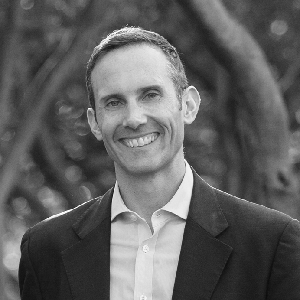 Andrew is a Fellow of the Australian Academy of Social Sciences, and a past recipient of the 'Young Economist Award', a prize given every two years by the Economics Society of Australia to the best Australian economist under 40. His books include Disconnected (2010), Battlers and Billionaires (2013), The Economics of Just About Everything (2014), The Luck of Politics (2015), Choosing Openness: Why Global Engagement is Best for Australia (2017) and Randomistas: How Radical Researchers Changed Our World (2018). Andrew is a keen marathon runner, and hosts a podcast titled "The Good Life." Mr Tim Lyons is a Research Fellow at think-tank Per Capita, Deputy Chairman of large Industry Superannuation Fund, and a Director of a state-owned utility. 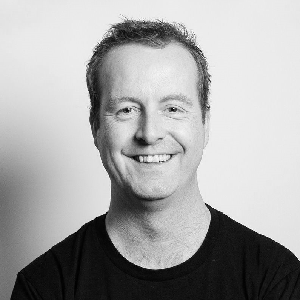 Tim works with unions and NGOs as a partner in Reveille Strategy Pty Ltd.
Tim had 20 years experience in the trade union movement as an organiser, advocate, policy specialist and senior leader. After 13 years with the National Union of Workers, he spent 7 years as the Assistant Secretary of the Australian Council of Trade Unions until 2015 where he was responsible for organising programs and led the work program on labour law, economics and pensions. Tim has also been a member of Federal Government boards and expert working groups on workplace relations, taxation, superannuation, procurement and industry policy. 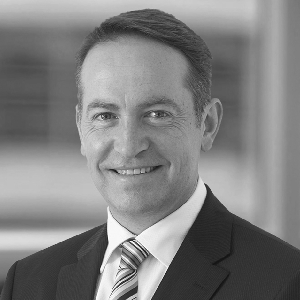 Tim has had Australian and international leadership experience in relation to superannuation and retirement incomes policy, ESG and capital stewardship. Tim has had a long-term work focus on governance, compliance and accountability issues as a director, manager and leader. Tim works, speaks & writes on organising, labour, tax, governance and finance. His writing has appeared in publications including The Guardian, The AFR, The Australian, The Saturday Paper and Meanjin. He tweets @picketer. 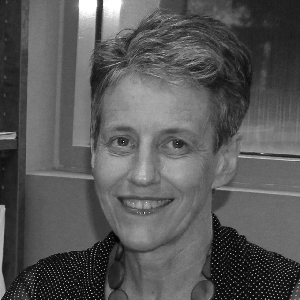 Professor Shelley Mallett is the Professorial Fellow in Social Policy in the School of Social and Political Sciences at the University of Melbourne and General Manager Research and Policy at the Brotherhood of St Laurence. While her research interests are broad including gender and health inequities, and youth transitions, she has particular expertise in homelessness and housing research, especially youth homelessness. A former member of the Victorian Drug and Alcohol Prevention Council and longstanding board member of the Council to Homeless Persons, she currently co-chairs the Australian Bureau of Statistics Homelessness Reference group. She is the author of two books, including Moving Out and Moving On: Young People’s Pathways in and through Homelessness, and the recipient of several research awards, including the DM Myers award, and the VicHealth Public Health Research award. Dr Leslie Martin is an assistant professor in the Department of Economics at the University of Melbourne. Her primary fields are environmental economics and energy economics, with secondary fields are industrial organisation and international development. Dr Martin's research currently focuses on (1) consumer responses to the availability of smart meter data in markets with retail competition and (2) interactions between regulation, firms, and environmental outcomes in industrialising countries. She has also conducted a recent evaluation of driver responses to road use charges. Dr. Martin has a PhD in Agricultural and Resource Economics from the University of California, Berkeley and a BA in applied math from MIT. She spent several years as a research scholar at the International Institute for Applied Systems Analysis, studying the impact of climate change-related disasters on developing countries, and as a consultant for the World Bank in Bolivia working on productivity and competitiveness, pension reform, and hydrocarbon taxes. 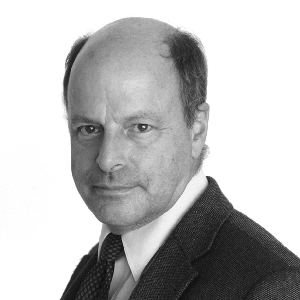 Professor Duncan Maskell's full bio will be available here shortly. Please check back soon. Richard McGregor is an award-winning journalist and author with unrivalled experience reporting on the top-level politics and economies of east Asia, primarily China and Japan. He was the Financial Times bureau chief in Beijing and Shanghai between 2000 and 2009, and headed the Washington office for four years from 2011. Prior to joining the FT, he was the chief political correspondent and China and Japan correspondent for The Australian. His book The Party: The Secret World of China’s Communist Rulers won numerous awards, including the Asia Society in New York award in 2011 for best book on Asia. His latest book, Asia’s Reckoning: China, Japan, and the Fate of US Power in the Pacific Century, was described as “shrewd and knowing” by The Wall Street Journal, and a “compelling and impressive” read by The Economist. He was a fellow at the Wilson Center in 2015 and a visiting scholar at the Sigur Center at George Washington University in 2016. He has lectured widely, in the United States and elsewhere, on Chinese politics and Asia. 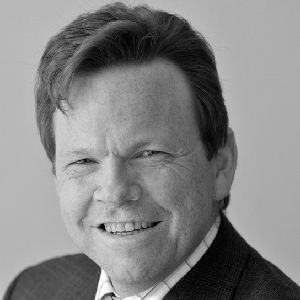 A regular commentator on energy, renewables, consumer trends, technology, and innovation, Mr Ed McManus is the CEO of renewable energy generator Meridian Energy Australia and energy retailer Powershop Australia. Part of the largest 100% renewable generator in Australasia, Meridian Energy Australia is an energy company focused on developing new electricity from environmentally sustainable renewable resources. A long standing investor in Australia, Meridian Energy is the owner-operator of the Mt Mercer and Mt Millar wind farms, the Hume, Burrinjuck and Keepit hydro power stations and has underwritten the construction of a number of other wind and solar farms through long term contracts. These investments amount to over a billion dollars in generation and retail activities in recent years. Ed was appointed Chief Executive Officer of Meridian Energy Australia and Powershop Australia in January 2016, having previously been the General Manager of Powershop from 2014-2016. Under Ed’s leadership, Powershop has grown from 10,000 to 100,000 customers and has been ranked the #1 retailer on Canstar Blue’s Most Satisfied Customer - Electricity Providers Victoria for three years running (2015, 2016 & 2017). With 15 years of prior experience in commercial roles, Ed has a deep understanding of consumer trends and industry disruption. 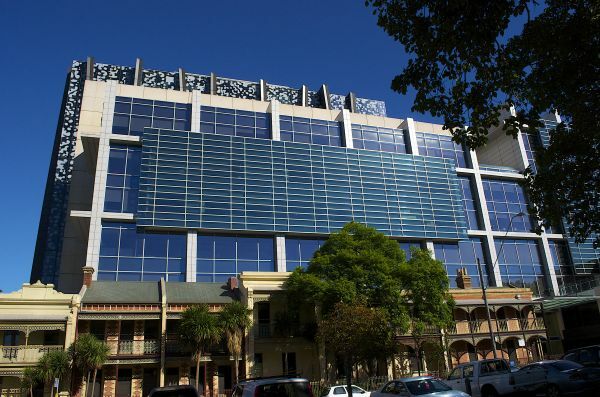 Prior to his work in the energy sector, he worked for REA Group’s realestate.com.au in roles across sales and marketing, operations and pricing strategy, and began his career as a medical research scientist with several years working for one of the world’s largest pharmaceutical companies, GlaxoSmithKline. Ed holds a Bachelor of Science from Trinity College Dublin and a PhD in Biochemistry from the University of Dundee. Andrew Michelmore was Chief Executive Officer and Executive Director of MMG Limited from 2009 until February 2017 following his tenure as Chief Executive Officer of Zinifex Limited and then OZ Minerals Limited. Prior to this he spent two years working in London and Russia as Chief Executive Officer of EN+ Group and became interim Chairman of RUSAL, an EN+ portfolio company, in October 2006. 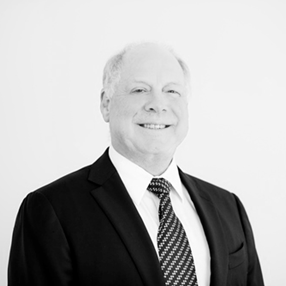 Andrew has more than 35 years’ experience in the metals and mining industry. He spent 12 years at WMC where he was Chief Executive Officer and prior to that held senior roles in the company’s nickel, gold, alumina, copper, uranium and fertiliser businesses. He holds a First Class Honours degree in Engineering (Chemical) from the University of Melbourne and a Master of Arts in Politics, Philosophy and Economics from Oxford University. He is a Rhodes Scholar and a fellow of the Institution of Chemical Engineers and the Australian Academy of Technological Sciences and Engineering. Andrew is Chairman of the Jean Hailes Foundation for Women’s Health and Chairman of the Council of Ormond College at the University of Melbourne. 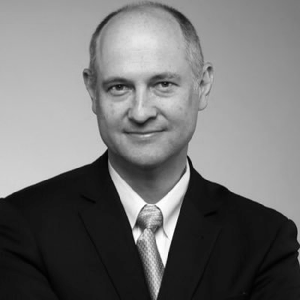 Andrew is also a Director of China Matters and Deputy Chair of the Asia Society Australia. He was Chairman of the International Zinc Association (IZA) from October 2011 to December 2015, Chairman of the Minerals Council of Australia (MCA) from June 2013 to June 2016 and Chairman of the International Council on Mining and Metals (ICMM) from October 2015 until his resignation in May 2017. Terry Moran served as Secretary of the Department of the Prime Minister and Cabinet, Australia’s most senior public servant position, from 2008 to 2011. As Secretary, Terry was responsible for leading the work of the Department on national security and international policy; environment, industry and economic policy; social policy and reforms negotiated by the Council of Australian Governments; and coordination of government administration, including Cabinet support. During the global financial crisis in 2008 and 2009, he helped to lead the development of Australia's highly successful policy responses. He also chaired the Advisory Group on the Reform of Australian Government Administration, which developed a blueprint for reform of the Australian Public Service. Prior to joining PM&C, Terry held a number of senior positions at state and federal level, including Secretary of the Department of Premier and Cabinet in Victoria, Director-General of Education in Queensland and CEO of the Australian National Training Authority. In 2012 Terry was named a Companion of the Order of Australia (AC) for "eminent service to the community through public sector leadership, as a significant contributor to policy development, program delivery and effective governance, and to the implementation of contemporary government administration". Terry is also Chair of the NSW Barangaroo Delivery Authority, Chair of the Melbourne Theatre Company, a member of CEDA's Board of Governors, a Special Adviser at the Boston Consulting Group and Chair of the Centre for Policy Development. The Hon. 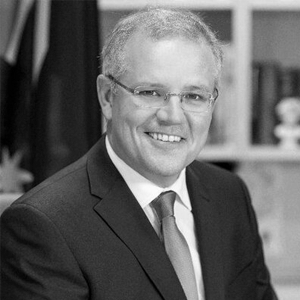 Scott Morrison MP is serving as the 30th and current Prime Minister of Australia and Leader of the Liberal Party since 24 August 2018. He has been a member of the House of Representatives since 2007, representing the Division of Cook in New South Wales. The Hon. 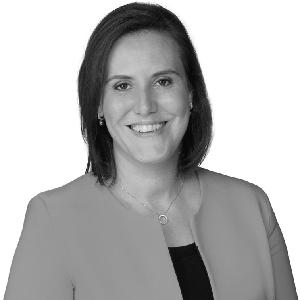 Kelly O'Dwyer MP was elected to represent the people of Higgins in December 2009, following the retirement of former Federal Treasurer the Hon Peter Costello AC. During her time as Minister for Small Business, Kelly and the Turnbull Government introduced unfair contract protections for small business, established the Small Business and Family Enterprise Ombudsman, abolished the Road Safety Remuneration Tribunal, and announced the amendment of section 46 of the competition law to level the playing field for small businesses. As a member of the Expenditure Review Committee, she also ensured small businesses benefited from the 2016-17 Budget's tax cuts and expanded small business tax concessions. Caroline Overington is one of Australia's most successful writers and journalists. She has written eleven books, including the runaway bestseller, The One Who Got Away. Her 12th title, The Ones You Trust, will be published by HarperCollins Australia in 2018. 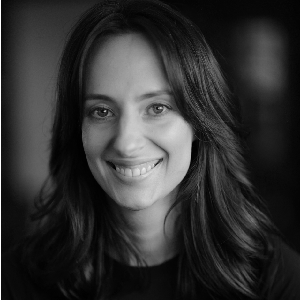 Caroline has worked as a journalist for The Age, The Sydney Morning Herald, The Australian, and The Australian Women's Weekly, where she has profiled many of the world's most famous women, including Oprah Winfrey and Hillary Clinton. Please see the gallery for some of her clips. 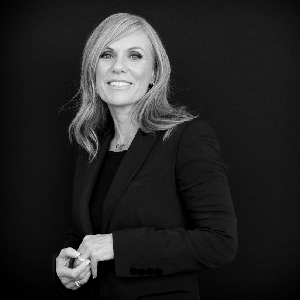 Caroline has twice won Australia’s most prestigious award for journalism, the Walkley Award for Investigative Journalism; she has also won the Sir Keith Murdoch award for Journalistic Excellence; Australia's richest prize for business writing, the Blake Dawson Prize; and the Davitt Award for crime writing. Her books have earned critical and commercial success: two of Caroline's novels - I Came To Say Goodbye and The One Who Got Away - were short-listed for Book of the Year at the Australian Book Industry Awards; her book about the UN oil for food scandal, Kickback has been optioned for film. 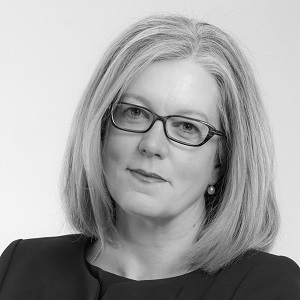 Professor A. Abigail Payne is the Director of the Melbourne Institute, the leading Australian institute on applied economic and social research. The Institute has a team of more than 50 academic researchers engaged in research on various microeconomic and macroeconomic topics including health, labour, education, housing, social disadvantage, macroeconomics and child development. Abigail moved to Australia from North America where she previously held positions in Canada and the US. Her educational training was in the US. Her PhD is from Princeton and her law degree is from Cornell. Abigail's own work focuses on empirical public economics issues with a focus on how government policy affects spending and performance. Her current research includes projects to understand the motivations of donors, the role of government funding and fundraising on giving, and on the delivery of public services by charities. Abigail’s current research in education includes understanding the decision to attend post‐secondary education, understanding gender gaps in educational performance, and gender differences in attending post‐secondary education and in pursuing degrees in science, technology, and engineering (STEM). Professor David Ribar directs the Melbourne Institute's Economic and Social Disadvantage research program. He is also a chief investigator for the ARC Centre of Excellence for Children and Families over the Life Course. He has a Ph.D. in Economics from Brown University. Prior to joining the Melbourne Institute, David served as a faculty member at the University of North Carolina at Greensboro, The George Washington University, and the Pennsylvania State University and held one-year positions at the U.S. Census Bureau and the Administration for Children and Families. He serves as a deputy editor of Demography, an Associate Editor of the Journal of Population Economics and Review of Economics of the Household, and on the council of the European Society for Population Economics. He is also a research fellow at the Institute for the Study of Labour (IZA). 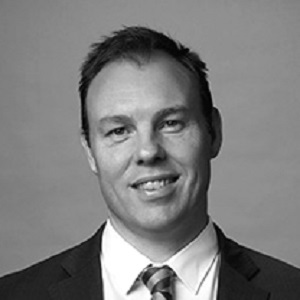 Mr Chris Richardson is a Partner of Deloitte Access Economics and is one of Australia’s best known economists. 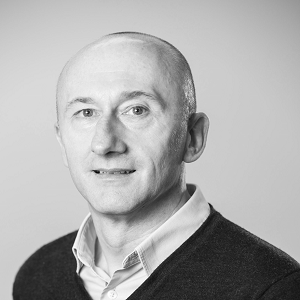 Chris heads Deloitte Access Economics’ forecasting and modelling unit. He is the author of three regular publications: Business Outlook, Employment Forecasts and Budget Monitor. 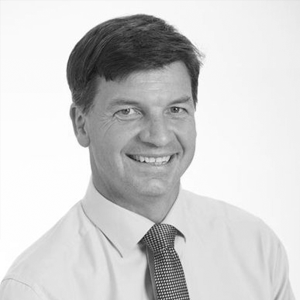 Chris’ expertise includes the Australian and global economies, federal budget analysis, property, ageing and industry trends. His comments on trends in the economy and their effect on business regularly appear in daily media coverage. Dr Kerry Schott AO is Chair of the Energy Security Board, Chair of Moorebank Intermodal Company, a Director of NBN, and a Director of TCorp NSW. She also Chairs the Assurance Board for Sydney Metro, and is a member of the Advisory Board for City and SouthEast Light Rail. Kerry was Managing Director and CEO of Sydney Water from 2006 to 2011. Before that, Kerry spent 15 years as an investment banker, including as Managing Director of Deutsche Bank and Executive Vice President of Bankers Trust Australia. During this time she specialised in privatisation, restructuring, and infrastructure provision. Prior to becoming an investment banker Kerry was a public servant and an academic. 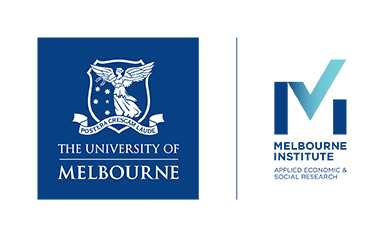 Professor Anthony Scott leads the Health Economics Research Program at the Melbourne Institute, and jointly co-ordinates The University of Melbourne Health Economics Group (UMHEG). 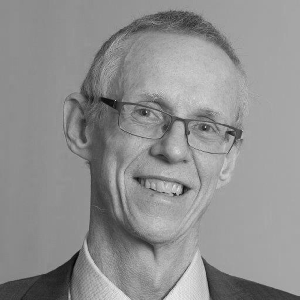 Tony has a PhD in Economics from the University of Aberdeen and is an Associate Editor of the Journal of Health Economics, and Health Economics, the President of the Australian Health Economics Society, and a member of the Board of the International Health Economics Association. Tony is a Fellow of the Academy of Social Sciences in Australia. He has been an ARC Future Fellow and an NHMRC Principal Research Fellow. He holds visiting positions at the University of Aberdeen and the Melbourne School of Population and Global Health, and has been a Visiting Scientist at the Harvard School of Public Health. Tony’s research interests focus on the behaviour of physicians, health workforce, incentives and performance, primary care and hospitals. He has undertaken work for the World Bank, Independent Hospital Pricing Authority and the Commonwealth and State Departments of Health. Tony also leads the Medicine in Australia: Balancing Employment and Life (MABEL) Survey, a large nationally representative panel survey of physicians. Mr Mark Scott AO is the Secretary of the NSW Department of Education and has a distinguished record in public service, education and the media. As leader of one of the largest education systems in the world, Mark has a particular interest in preparing today's students for tomorrow's rapidly changing world. The Hon. 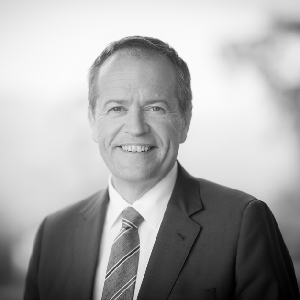 Bill Shorten MP is the Federal Member for Maribyrnong and Leader of the Opposition. Bill joined the Labor Party during his last year of secondary schooling aged 17 and has since devoted his entire adult life to serving the labour movement. Bill’s love and faith in the Labor Party are rooted in his family’s story. Bill and his twin brother Robert grew up in Hughesdale, in the south eastern suburbs of Melbourne. Bill’s parents worked hard to give him and his brother the best start in life. 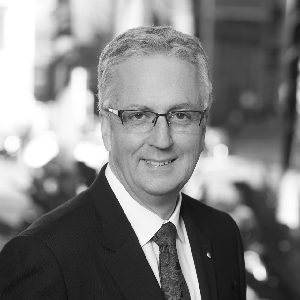 Bill attended the Jesuit School Xavier College, completed a Bachelors degree in Arts and Law from Monash University, as well as an MBA from the Melbourne Business School. Bill has since worked as a union organiser, union secretary, as a member of the ACTU executive, a director of AustralianSuper, Australia’s largest superannuation fund and a director of the Victorian Funds Management Corporation. He was first elected as the Member for Maribyrnong at the 2007 Federal Election. Before his promotion to the Ministry, Bill was the Parliamentary Secretary for Disabilities, Children’s Services and Victorian Bushfire Reconstruction where Bill started a disability movement to ensure that people with disability and their carers aren’t treated like second class citizens in their own country. Bill was first and sworn into the Labor Ministry in September 2010 and promoted to Cabinet in December 2011. As a senior member of the Labor Government, Bill played a key role in securing a number of historic Labor reforms including establishing the National Disability Insurance Scheme and increasing universal superannuation to 12 per cent ensuring that Australians don’t work hard their whole lives only to retire poor. As Minister for Workplace Relations, Bill continued the Labor Government’s ongoing commitment to a fair and productive workplace relations system and during his time as Minister for Education helped secure Labor’s Better Schools reforms to deliver more individual attention and more resources for students in every school. Bill is married to Chloe, a former resources industry manager. Together, they have supported disability reform, science and medical research, and maternal and child health organisations. Bill and Chloe live in his electorate of Maribyrnong with their three children and dogs Theodore and Matilda. Bill has an enduring interest in social justice issues such as domestic violence, equal opportunity at work, and as a father of three and a stepdad the increasing diversity of families in Australia. Professor Judith Sloan is an economist and company director. She holds degrees from the University of Melbourne and the London School of Economics. She worked for many years at Flinders University of South Australia, becoming Director of the National Institute of Labour Studies. She was appointed Professor in 1988. She has held a number of government appointments, including Commissioner of the Productivity Commission; Commissioner of the Australian Fair Pay Commission; and Deputy Chairman of the Australian Broadcasting Corporation. She has sat on the boards of a number of companies including: Mayne Nickless; SGIO Insurance; Santos; Westfield Group and Primelife, where she was also Chairman. She is currently the Contributing Economics Editor of The Australian newspaper and a member of the Australian Statistics Advisory Council. She is also an Honorary Professorial Fellow at the Melbourne Institute of Applied Economic and Social Research at the University of Melbourne. Ms Diane Smith-Gander is non-Executive director AGL Energy, Wesfarmers Limited, Chair of Safe Work Australia, Asbestos Safety & Eradication Council, a board member of Keystart Loans, CEDA, member of the NRFA Partnership Council and immediate Past President of Chief Executive Women, Australia’s pre-eminent women’s advocacy group. Diane holds an MBA from the University of Sydney and a BEc from the University of Western Australia (UWA). In 2015 she was awarded an Honorary Doctorate of Economics from UWA. 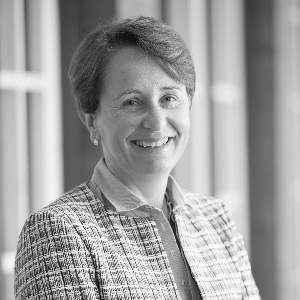 She is a Fellow of the AICD and Governance Institute of Australia and an adjunct professor of corporate governance at UWA where she serves on the advisory board of the Business School. Miranda Stewart is a Professor at Melbourne Law School, University of Melbourne and a Fellow at the Tax and Transfer Policy Institute, Crawford School of Public Policy at the Australian National University. Miranda was formerly the inaugural Director of the Institute. Miranda teaches, researches and advises on a wide range of tax policy and law topics including taxation of business entities, not-for-profits and individuals; taxation of capital and assets; tax reform processes, budget institutions; gender equality; and resilience of tax systems to support effective democracies nationally and globally. Recent publications include Tax, Social Policy and Gender (ed, ANU Press, 2017) and papers on the future of company tax in Australia; taxation of cryptocurrency; and redistribution between rich and poor countries. 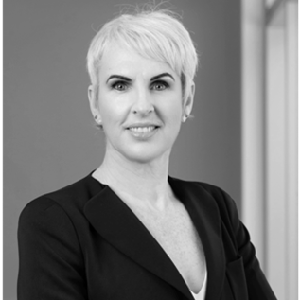 Miranda previously worked in private legal practice and in the Australian Tax Office and has taught at universities in the United States and Canada. Ms Catherine Tanna is Managing Director of EnergyAustralia, and a Member of the Boards of the Reserve Bank of Australia and the Business Council of Australia. 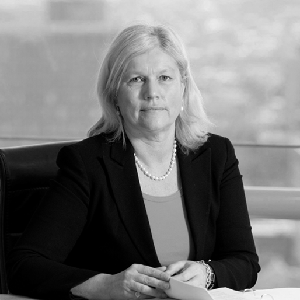 Prior to becoming Managing Director of EnergyAustralia in 2014, Catherine had a lengthy career in the international oil and gas industry as Managing Director of BG’s Australian business, QGC Pty Limited, and as Executive Vice President for Australia and China. Catherine led the development of Queensland’s first LNG project. In 2012 she was elevated to Chairman, BG Australia. 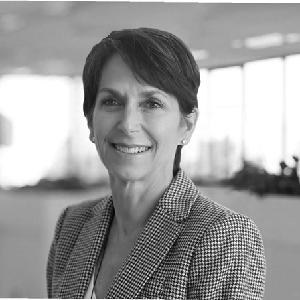 Before BG Group, Catherine was a senior executive with Shell and BHP Billiton, with responsibility for Africa, North Asia, Russia, North America and Latin America. In the 1990s, she worked for BHP Petroleum in Melbourne and London. 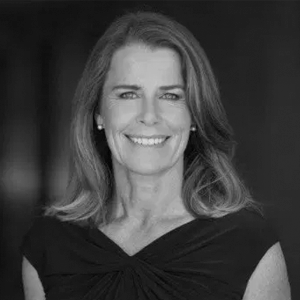 Catherine was formerly a Director on the Board of the 2018 Commonwealth Games Corporation and a member of the Australian G20 business body, the Lowy Institute's G20 Advisory Committee and the Catholic Foundation Board. Catherine was born in Queensland, raised in Gladstone and has a Bachelor of Laws from the University of Queensland. She has two daughters. Angus entered politics in 2013 when he was elected as the Liberal Federal Member for Hume in NSW. 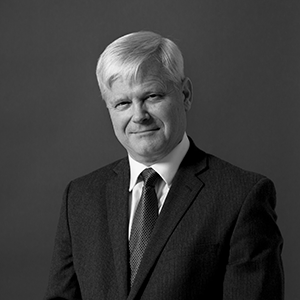 Building on his background in economics, Angus was appointed to parliamentary committees on employment, trade and investment, and public accounts. He was also chair of the Joint Standing Committee on Treaties. Angus was promoted to Assistant Minister to the Prime Minister with special responsibility for Cities and Digital Transformation in February 2016. He was reappointed to the frontbench after the 2016 Federal election and became Minister for Law Enforcement and Cyber Security in December 2017. With a passion for cutting edge technology and the benefits for citizens of the digital age, Angus authored an essay The Promise of Digital Government which was published by the Menzies Research Centre in 2016. 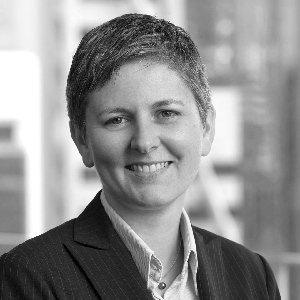 Dr Vanessa Teague is the chair of the cybersecurity and democracy network at The University of Melbourne. She is interested in cryptographic protocols that support a free and democratic society. In each case, openness about the algorithms and processes is good for security, privacy and public trust. She did her B.Sc. (hons) at The University of Melbourne and her Ph.D. with Prof. John Mitchell at Stanford University. She wrote her thesis on the economic analysis of multiparty cryptographic protocols, the sort of mathematics that now underpins digital currencies and public ledgers. Her research has two main themes: verifiable and transparent electronic elections, and privacy and big data. In each case, understanding the limitations of existing solutions is part of designing better ones. A recent paper with Dr Chris Culnane and A/Prof Ben Rubinstein showed that both suppliers and patients could be easily re-identified in an open sample of Australian public health billing data. 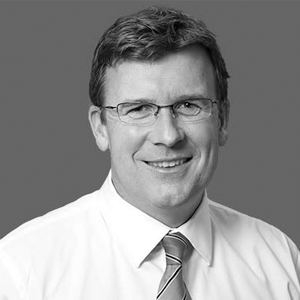 Alan Tudge was elected to the Federal Parliament in the seat of Aston in Melbourne's outer east in 2010 and re-elected in 2013 and 2016. He was appointed Parliamentary Secretary to the Prime Minister following the 2013 election and in 2015 was appointed as Assistant Minister to Prime Minister Turnbull and Assistant Minister for Social Services. He entered the full ministry in early 2016 as the Minister for Human Services. In December 2017, he was appointed Minister for Citizenship and Multicultural Affairs, where he has responsibility for skilled migration, visa processing, pathways to citizenship, and multicultural affairs. He has been involved with multiple community organisations, including as one of the co-founders of “Teach for Australia”, a national non-profit which targets top graduates from non-teacher faculties and fast-tracks them into teaching in disadvantaged schools. Mr David Uren is The Australian’s Economics Editor and has been leading the paper’s Canberra economic coverage for thirteen years. He is author of the books on Australia's management of foreign investment and on its relationship with China and co-author of a book on the Rudd government’s handling of the global financial crisis. 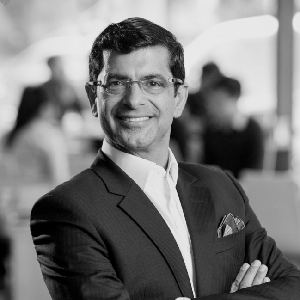 His career in journalism includes nine years as the editor of Business Review Weekly, and periods editing the Asian business magazines, Asiabanking and Asia Inc, as well as policy publications for the Business Council of Australia, Accenture and the Centre for Corporate Public Affairs. He has also worked in investor relations, advising blue-chip corporations including BHP-Billiton, ANZ and Southcorp on shareholder strategy. The Business Council of Australia is the nation’s premier business organisation, advocating for a stronger and fairer society through a more prosperous Australia. Under Jennifer's leadership, the Business Council tirelessly champions meaningful policies that strengthen the ability of businesses to grow the economy for the benefit of all Australians. Jennifer built her career in the public sector, working in senior leadership positions in the NSW and Victorian governments across housing, education, and infrastructure, planning and natural resources. 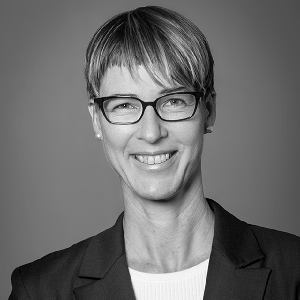 As a senior partner at KPMG, Jennifer advised major corporations on climate change and sustainability and advised governments across Australia on significant reform priorities. Jennifer has an unrivalled understanding of how the public and private sectors intersect and can work together to achieve the best outcomes in the national interest. Since 2013, Jennifer has served as the Chair of the Mental Health Council of Australia and is a Non-Executive Director of Wesfarmers Limited. 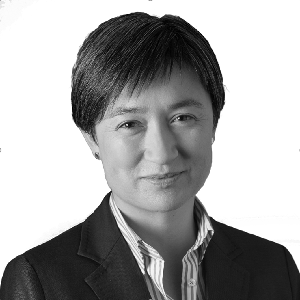 She is the Australian Co-chair of the Australia-Canada Economic Leadership Forum, the Co-Patron of Pride in Diversity, and the Co-Chair of the Australia Sino One Hundred Year Agricultural and Food Safety Partnership (ASA100). In 2018, Jennifer was made an Officer (AO) in the General Division of the Order of Australia. Jennifer has a Bachelor of Arts (Honours) from the University of New South Wales and in 2017 received an Honorary Degree (Doctor of Letters) from her alma mater. She was a Chevening Scholar at the London School of Economics. 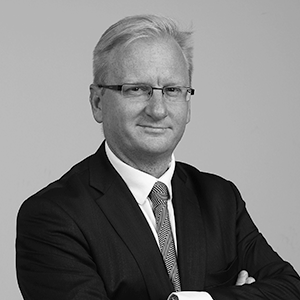 Mr Paul Whittaker has been the Editor-in-Chief of The Australian since December 2015. Prior to this, he was editor of The Daily Telegraph for five years and before that he was editor of The Australian for more than four years. Whittaker, a three-time Walkley Award winner for investigative reporting and headline writing, began his career as a cadet journalist at The Gold Coast Bulletin in 1987. He later worked as chief of staff, news editor and associate editor of The Courier-Mail. He spent three years in Los Angeles as US correspondent for News Corp and also worked as a reporter at The Times and The Sunday Times in London. Under his editorship, The Australian has been named the Pacific Area Newspapers Association’s Newspaper of the Year for the past two years – the first time any masthead has achieved this feat. The Australian was also awarded News Corp Australia’s News Award for Newspaper of the Year for the same period. In October last year, The Australian became the first news media brand in Australia to surpass 100,000 paying digital subscribers after becoming the first newspaper to launch a digital paywall in 2011. Whittaker is the author of Patanela is Missing: Australia’s Greatest Sea Mystery (Bantam, 1993) (with Robert Reid) and is a contributing author of Journalism: Investigation and Research (Pearson, 2003). He initiated The Daily Telegraph’s 'Fair Go for the West' campaign in 2013 to champion the Western Sydney region, culminating in the Commonwealth Government’s decision to approve the city’s second airport at Badgerys Creek, 50km west of Sydney. 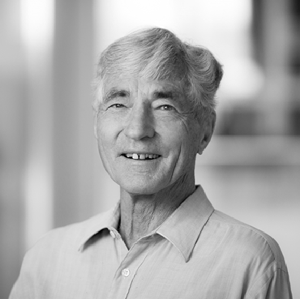 In 2014, he established the Bradfield Oration to raise debate about Sydney’s future and honour the great engineer and visionary Sydney Harbour Bridge builder, Dr John Bradfield. 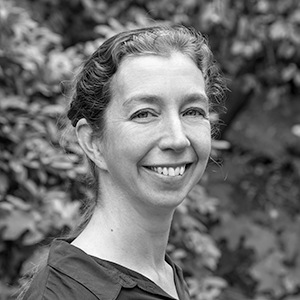 Carolyn Whitzman is Professor in Urban Planning at The University of Melbourne. She is the author, co-author, or lead editor of five books, including: Melbourne: What Next? A Discussion on Creating a Better Future (2014) and Building Inclusive Cities: Women’s Safety and the Right to the City (2013). 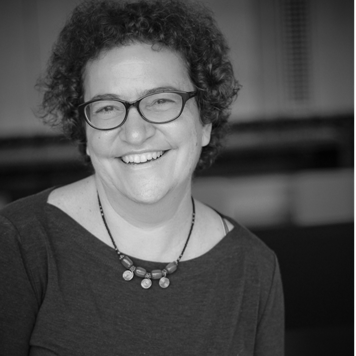 Carolyn's research interests include: integrated planning for affordable housing and social infrastructure; improving access to public space for women, children and people with disability; and collaborative planning partnerships. She has published over 50 peer-reviewed scholarly publications on partnerships for social justice in the city, and frequently provides policy advice to local, state and national government and to the UN. Professor Roger Wilkins is Deputy Director of the Melbourne Institute and Deputy Director (Research) of the HILDA Survey program area. 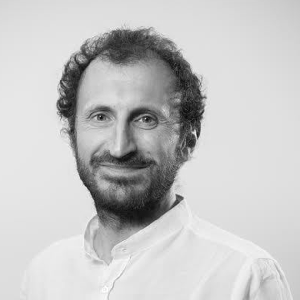 Roger's research interests include the nature, causes and consequences of labour market outcomes; the distribution and dynamics of individuals’ economic wellbeing; and the incidence and determinants of poverty, social exclusion and welfare dependence. As part of his work in the HILDA Survey program, Roger produces the annual HILDA Survey Statistical Report, which each year analyses the latest release of the HILDA data. He has also produced the Australian income component of the World Wealth and Income Database (WID) since 2014. Penny was born in Malaysia and moved to Adelaide with her family as an eight year old where she now lives with her partner and their two daughters. Before entering politics Penny worked for a union, as a ministerial adviser in the NSW Labor Government, and as a lawyer. Penny was elected to the Senate in 2001 and took her seat in 2002. Following the election of the Labor Government in 2007 Penny was appointed the Minister for Climate Change and Water and later served as Minister for Finance and Deregulation. In 2013 Penny was appointed Leader of the Government in the Senate. After the change of Government she was appointed Leader of the Opposition in the Senate. Penny is the first woman to hold both these roles. 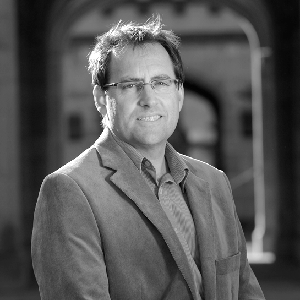 Professor Mark Wooden commenced an appointment as a Professorial Fellow with the Melbourne Institute in March 2000. He was previously Professor and Acting Director at the National Institute of Labour Studies, Flinders University of South Australia, where he was employed for 19 years. In that time he developed a reputation as one of Australia's leading commentators on contemporary developments in the labour market. 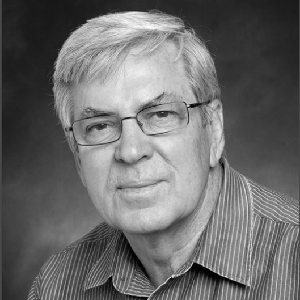 In 2000 he commenced work as the first director of the HILDA Survey Project, Australia's first large-scale household panel survey, a position he still holds today. In 2010, Mark was appointed a Fellow of the Academy of Social Sciences of Australia. The Outlook Conference will be held in the Grand Hyatt Hotel, located in Melbourne's CBD on Collins Street, the heart of the city’s high fashion and fine dining areas. 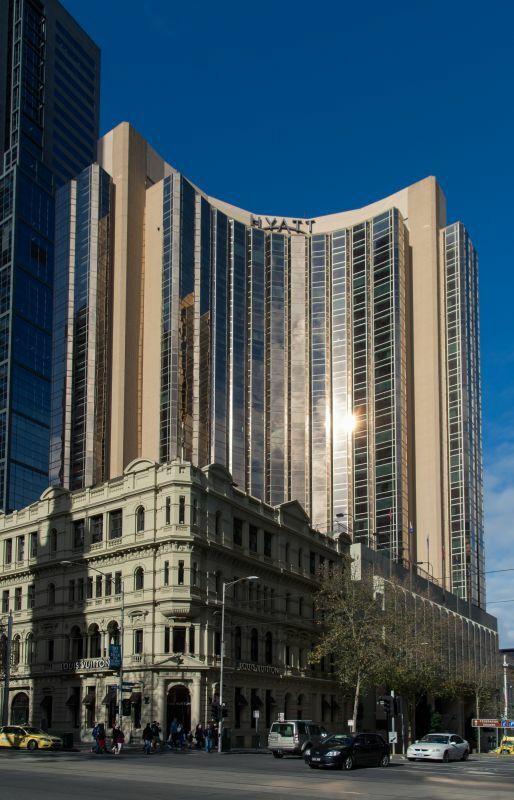 The Grand Hyatt is in walking distance of all major transport options, as well as many of Melbourne’s tourist attractions and business, shopping and theatre districts. Contact us at melb-conf@unimelb.edu.au or +61 3 8344 2100 to arrange accommodation at the Grand Hyatt Melbourne for the conference. Taxi – The Grand Hyatt is approximately 23 km from Melbourne Tullamarine Airport. Taxis to and from the airport take approximately 30-35 minutes and cost between $50.00-$60.00 AUD each way. Uber – Uber pickups are now available from Melbourne Airport. If departing from Terminal 1, 2 or 3, follow the signs for ‘Uber’ towards the Pickup Zone. For Terminal 4, head to the Pickup Zone on level 2 of the T4 carpark. The Melbourne Institute is Australia’s pre-eminent economic and social policy research institution. We are renowned for our high-quality, independent and impartial applied research and our development of longitudinal survey tools. Our work with government, business and community groups has been powering effective change for over 55 years, and through our research we play an important role in creating fundamental policy and practice.